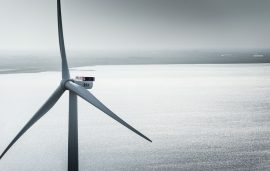 MHI Vestas Offshore Wind received a firm and unconditional order for the Deutsche Bucht (DeBu) wind farm from Northland Power Inc. last Friday, when the Canadian company announced that the EUR 1.3 billion offshore wind project had reached financial close. 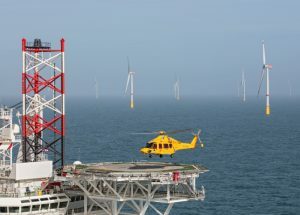 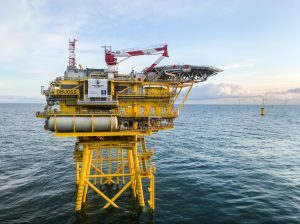 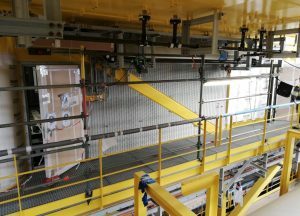 The 269MW Deutsche Bucht offshore wind project in the German North Sea is progressing on time and on budget, with 13 out of 33 foundations installed to date, Mike Crawley, President and CEO of Northland Power, said. 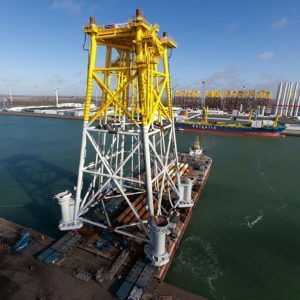 Van Oord has contracted Universal Foundation to support the installation of two mono bucket foundations at the Deutsche Bucht offshore wind farm. 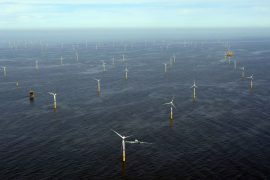 Northland Deutsche Bucht has awarded Danish-based Semco Maritime with a 5-year service contract for the Deutsche Bucht offshore wind farm in the German part of the North Sea. 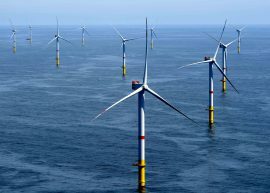 Canadian power company Northland Power Inc. has opened an offshore wind operations hub in Germany. 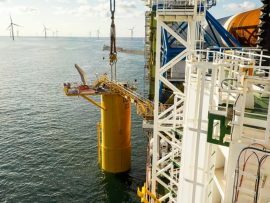 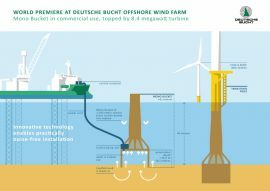 The first of the 31 monopile foundations has been installed on Northland Power’s 269MW Deutsche Bucht offshore wind farm in the German North Sea. 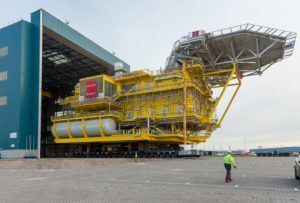 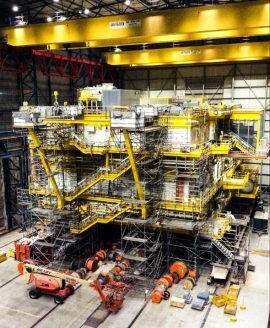 The jack-up vessel Seajacks Scylla has left Cuxhaven loaded with the first three monopiles and transition pieces to be installed on the 269MW Deutsche Bucht wind farm in the German North Sea. 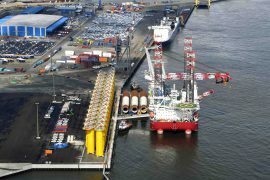 Van Oord is using the new berth at the Cuxport Terminal in Cuxhaven for the Deutsche Bucht offshore wind project, Cuxport informed, saying that the berth no. 4 has thus become the location for its first offshore project even before its official launch. 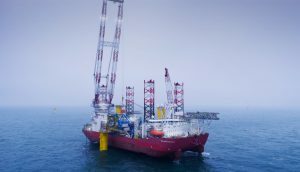 German offshore foundations manufacturer EEW Special Pipe Constructions GmbH has loaded out the first monopiles built for the 269MW Deutsche Bucht offshore wind farm. 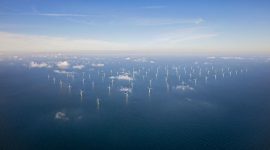 Northland Power reported CAD 192.6 million in offshore wind sales in the second quarter of 2018, a CAD 31.9 million increase compared to the same period last year, mostly due to all turbines at the 332MW Nordsee One project producing power. 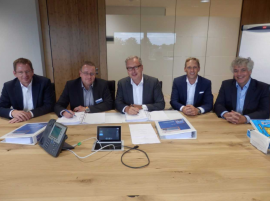 The Deutsche Bucht Mono Bucket pilot demonstrator project has reached financial close, Northland Deutsche Bucht GmbH said. 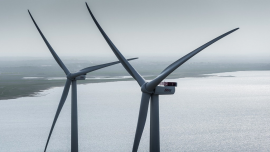 Canadian power company Northland Power reported CAD 178 million net income in the first quarter of 2018, a 78% increase compared to the same quarter last year primarily due to higher operating income from the Gemini and the Nordsee One offshore wind farms. 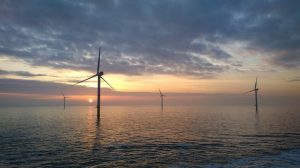 Northland Power has reported improved financial results for the fiscal year 2017, largely due to contributions from the Gemini and Nordsee One offshore wind farms. 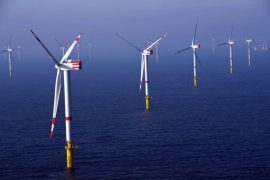 Northland Power has awarded K2 Management with a lump sum service agreement involving full scope construction management on the 252MW Deutsche Bucht (DeBu) offshore wind farm in the German sector of the North Sea. 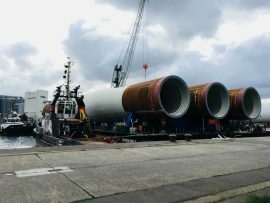 Dutch marine contractor Van Oord has assigned the Rostock-based EEW Special Pipe Constructions GmbH to manufacture and deliver 31 monopiles for the 252MW Deutsche Bucht (DeBu) offshore wind farm.